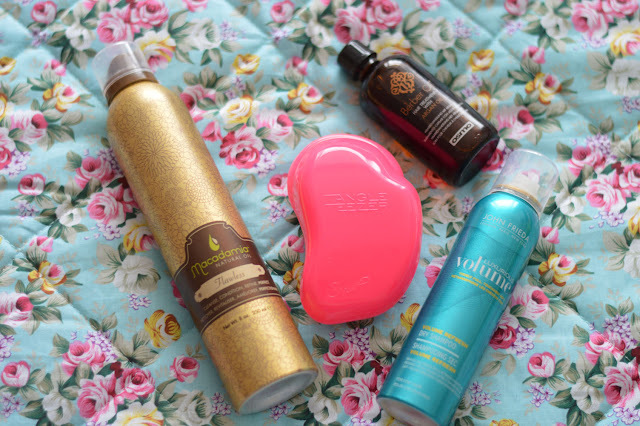 Following on from my recent haircare review of the John Frieda Luxurious Volume range I wanted to share my latest haircare favourites. It seems I have discovered a few new gems which I'm using regularly. I can't believe I waited so long to purchase the Tangle Teezer, I bought this a few weeks ago in Boots and have used it daily every since, even on my 2yr old and she gets very tangled hair as you can imagine. I've mentioned the John Frieda Dry Shampoo a few times on the blog and shared my thoughts a little deeper here, it's my new found love for dry shampoo. It smells lovely fresh and does not leave any white powder residue in your hair and does not leave you uncomfortable scalp itching! 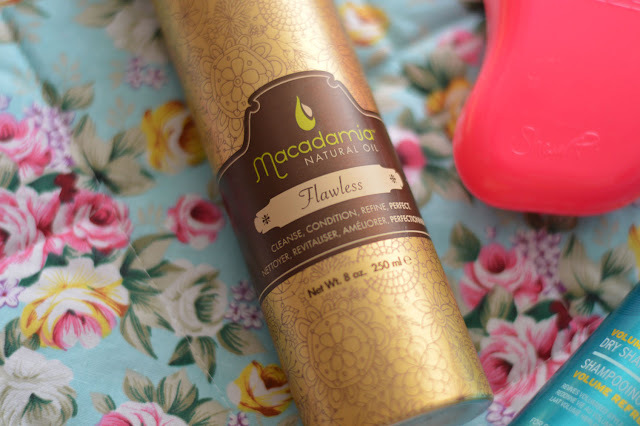 I have been putting the new Macadamia Flawless treatment product to the test and ladies and gentlemen I can happily announce this is a good'un! Flawless claims to cleanse, condition, refine and perfect. Just after the first application I noticed a difference, my hair looked glossy and shiney and felt great. The smell is lovely and fresh not as strong as the other products from the range but still very pleasing. The only criticism I have is the packaging, the pump isn't great. I think mine might be faulty because you have to push down hard to release the product. Having said that because the product is really good and you notice a great difference after using it, I have overlooked this slight set back and am still using it weekly as a nice treat. If you colour your hair or experience dry spilt ends this would be a great treatment product to use. I've had the OSMO Berber Oil Hair Treatment for a while now but it only just made it into my hair basket recently, I wanted to mention it in my favourites because I've reached for it numerous times in past couple weeks. A luxurious intense hair oil, best way i can describe this would be to visualise liquid amber. The scent is heavenly like you would expect from a hair oil now a days, the main ingredient is Argan oil. 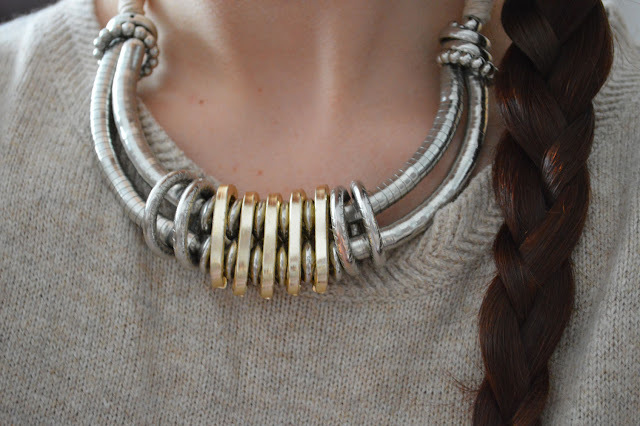 I have been opting for a side plait lately, how have you been wearing your hair?